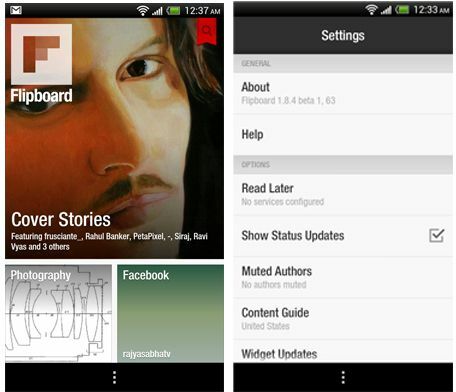 Good news folks, Flipboard Beta for Android Officially arrived. Flipboard start sending the mail those who applied for beta testing. The app is out just after the worldwide launch of Samsung Galaxy SIII. The app performance improved lot with its previous leaked version. Flipping is super smooth in my phone. NOTE: Those who’re using the leaked version, i suggest you to remove the old version as the old version had full of bugs. Without wasting your time heads to download link below to test the awesomeness of Flipboard.